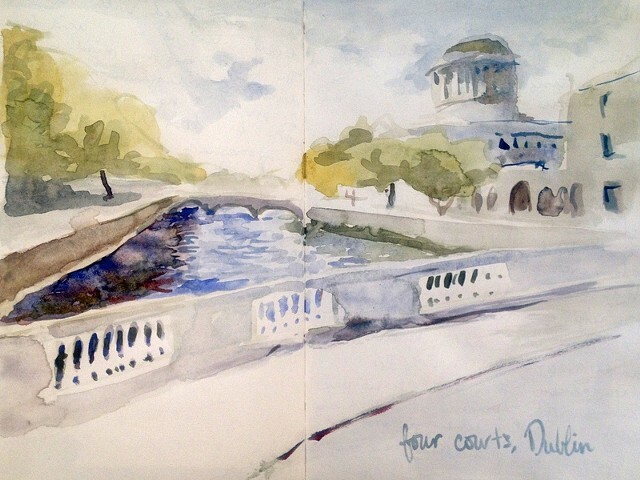 The Four Courts on the River Liffey in Dublin. I stayed in a hostel directly across from the Four Courts, an easy walking distance from many goings-on in the city. Friends were made quickly, & I got a first-rate local's tour of traditional music for a weekend.